Talent acquisition is the process of finding and acquiring skilled human labor for organizational needs and to meet any labor requirement. When used in the context of the recruiting and HR profession, talent acquisition usually refers to the talent acquisition department or team within the Human Resources department. The talent acquisition team within a company is responsible for finding, acquiring, assessing, and hiring candidates to fill roles that are required to meet company goals and fill project requirements. Talent acquisition as a unique function and department is a relatively new development. In many companies, recruiting itself is still an indistinct function of an HR generalist. Within many corporations, however, recruiting as a designation did not encompass enough of the duties that fell to the corporate recruiter. A separate designation of talent acquisition was required to meet the advanced and unique functions. 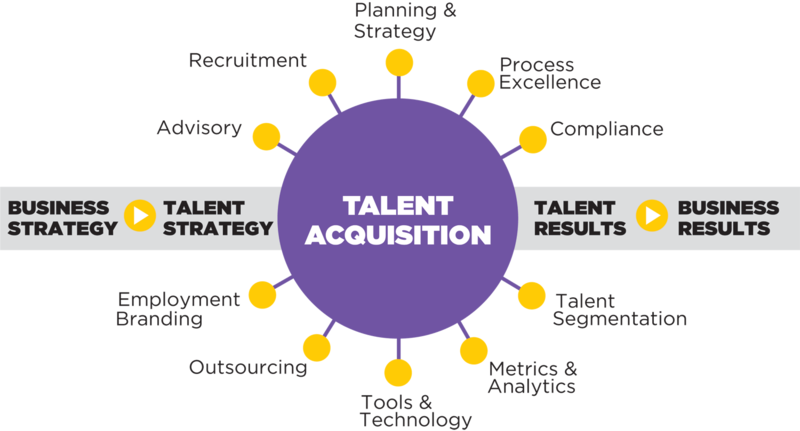 Modern talent acquisition is a strategic function of an organization, encompassing talent procurement, but also workforce planning functions such as organizational talent forecasting, talent pipelining, and strategic talent assessment and development.